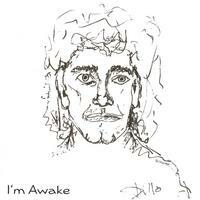 "I'm Awake", consists of 11 tunes, 3 of which are piano instrumentals that bridge together the 3 lyrical and distinct movements of the disc. This is a solo project of voice / acoustic guitar and acoustic piano. The lyrics cover: Love of life moments( I'm Awake), Homelessness (Livin on the outside), Alcohol legacy (Movin slow), the Power of (We are the people), Transitional (I wanna know you)piano instrumental, Spiritual(Your mighty hand), Time(Rain)piano instrumental, the Loss(Hold me), the Healing(Put a little bit of lovin on it), Centering(Ocean's breath)piano instrumental, Positive-affirmation(Everyday). Bradley Ditto is represented by, Big Beat Productions, Inc. Contact Richard Lloyd in Artist Management @ Tel #; (954) 755-7759, e-mail: talent@bigbeatproductions.com, web: www.bigbeatproductions.com, Press coverage is welcome. For a more in-depth article, an interview with Ditto, or complete schedule of appearances, times and locations, please contact Richard Lloyd above or go to Clean Records web page: www.cleanrecords.net.